We are guided by a volunteer Board of Directors including health care practitioners, business and nonprofit professionals. Robert Fine was born in Toronto, Ontario, Canada. After completing a degree in Urban Economics from the University of Toronto and Masters work at York University. He moved to British Columbia in 1989 where he worked for the Sea to Sky Economic Development Corporation until 1996. Robert served as Director of Economic Development for the Regional District of the Central Okanagan for almost 17 years. He is a past board member of the Provincial Small Business Roundtable, the John Howard Society, the Canadian Cancer Society BC Yukon and an currently sits on the Board of the Kelowna Innovation Society. Married to Marilynne, they have two grown daughters Lana and Madison. Much of his free time he spends singing the Great American Songbook all over the world with the 16 piece Dreamland Band. Jill is an internationally accredited communications professional. For more than 20 years she has worked with corporate and nonprofit clients across BC and Alberta. Jill was instrumental in helping to bring the Silver Song Group model to Canada. She continues to contribute her nonprofit, communications, and marketing expertise to support the Foundation’s growth in Canada. Victor moved to Kelowna in 2008 to escape the bitterly cold Winnipeg winters. He co- founded Centro Consulting Inc. – a strategic marketing firm that focuses on studying, understanding and capitalizing on non-conscious influences on human decision making. 2011 Chair, Gennext Kelowna. 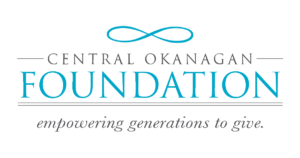 2014 board member United Way of the Central and South Okanagan. When he is not working, Victor is usually outdoors. In the winter he enjoys skiing; in the summer anything outdoors usually suffices, but he particularly enjoys playing soccer, rock climbing and riding his motorcycle on winding Okanagan roads. Stella comes to the board of directors with an array of education and experience in the medical industry; acute care nursing coast to coast across Canada, specialized care in the traumatic brain and spinal cord injury centre in the Maritimes, gerontology specialty. Since returning to B.C. Stella has focused her career in home care and the past 5 years she has honed her expertise as a practitioner and wellness coach with the 50+ populace. DeAnna moved to the Okanagan from Newfoundland in 2008, bringing with her a Masters in Physiotherapy and a love for the environment. She is currently a founding partner of Stride Mobile Physiotherapy as well as an instructor at Vancouver Career College. She is also the chair of the Okanagan Young Health Professionals, a past co-chair of Gennext Kelowna and volunteer for the Heart and Stroke Foundation, among others. When she is not working or volunteering, she can usually be found found on a stage singing or acting, off in the mountains, or cooking. As a life enthusiast Stella enjoys meeting and mingling with people. She has a wide range of interests both indoor and outdoor. Her true passion is anything to do with singing, music and playing a variety of musical instruments.